Watch the interview with Dan Gilbert. 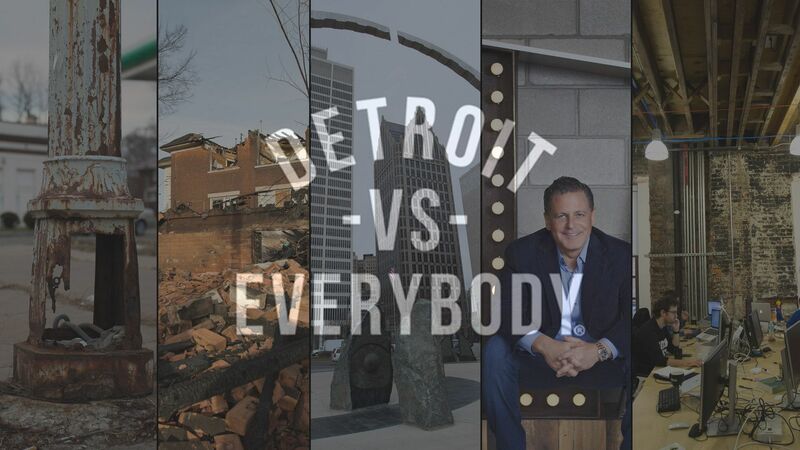 Billionaire Dan Gilbert sits down with Forbes’ Joann Muller to discuss his historic effort to rebuild the Motor City. Included are comments by Sarah Claymen and Kevin Nixon, founders of the Detroit Institute of Music (DIME), and Andy Beletsky, owner of NoJo Kicks. This entry was posted in Detroit Business, Revitalization and tagged Andy Beletsky, Dan Gilbert, Detroit Institute of Music, DIME, Kevin Nixon, NoJo Kicks, Sarah Claymen. Read the full CityLab report. “Detroit has also seen a notable improvement in its Walk Score since 2011. 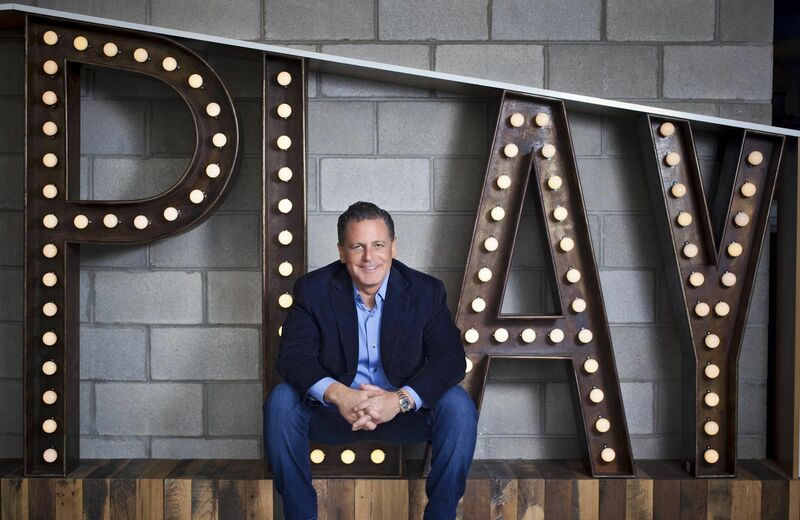 In recent years the struggling city has been the site of substantial downtown revitalization orchestrated by a unique partnership of corporate leaders, such as Quicken Loan’s Dan Gilbert, and local foundations. Gilbert, who famously purchased many older buildings in what he called a “skyscraper sale,” has bought dozens of properties in the downtown area. 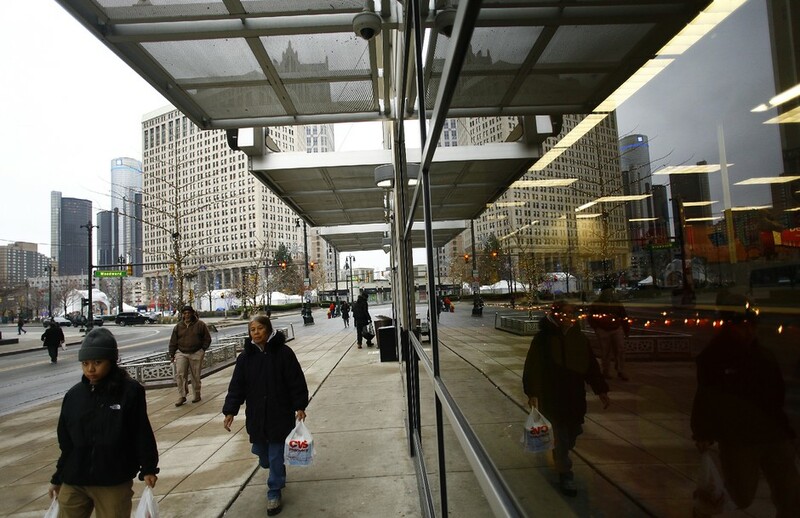 Want to see firsthand what makes Downtown Detroit so walkable? Contact Show Me Detroit Tours for info on our daily, chauffeured, deluxe-van tours. Complete tour info is at www.showmedetroittours.com/reservations.html. This entry was posted in Downtown Detroit and tagged Dan Gilbert, Project for Public Spaces, Quicken Loan. 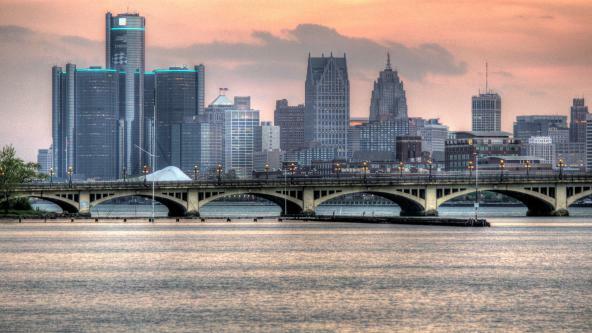 Detroit will host a national business forum on how employers can upgrade recruiting, training and productivity on May 4-5 at The Westin Book Cadillac Detroit. 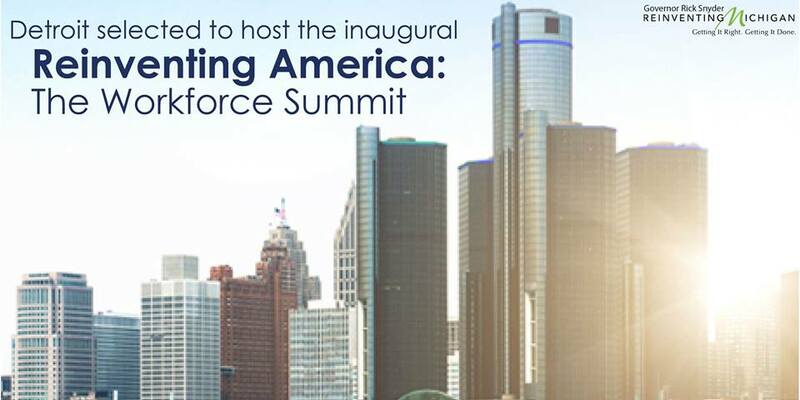 “REINVENTING AMERICA: THE WORKFORCE SUMMIT,” sponsored by Forbes magazine’s conference division, will feature presentations by Rick Snyder, Dan Gilbert, Mary Barra and the presidents of Michigan State and Wayne State. Local executives delivering remarks also include Felicia Fields, a Ford group vice president, and Cindy Pasky, founder and head of Strategic Staffing Solutions. If you will be visiting Detroit for this conference and would like an up-close look at the Greater Downtown community, contact Show Me Detroit Tours. Our daily, chauffeured, deluxe-van tours provide a 2-hour introduction to Downtown Detroit’s highlights and attractions. Knowledgeable guides provide a local perspective and the perfect Detroit experience. For complete tour info visit www.showmedetroittours.com/reservations.html. This entry was posted in Detroit events, Downtown Detroit, Revitalization and tagged Cindy Pasky, Dan Gilbert, Felicia Fields, Forbes, Mary Barra, Rick Snyder, Strategic Staffing Solutions, Westin Book Cadillac. Read the full article from The Fiscal Times. Take a two-hour van ride with Show Me Detroit Tours and see first hand what all the excitement is about in Greater Downtown Detroit. For complete tour info visit www.showmedetroittours.com/reservations.html. This entry was posted in Detroit, Downtown Detroit, Revitalization, Technology and tagged Dan Gilbert, Rocket Fiber. We did not expect that an extensive report of an earlier design concept of the Hudson’s site would appear in the media. 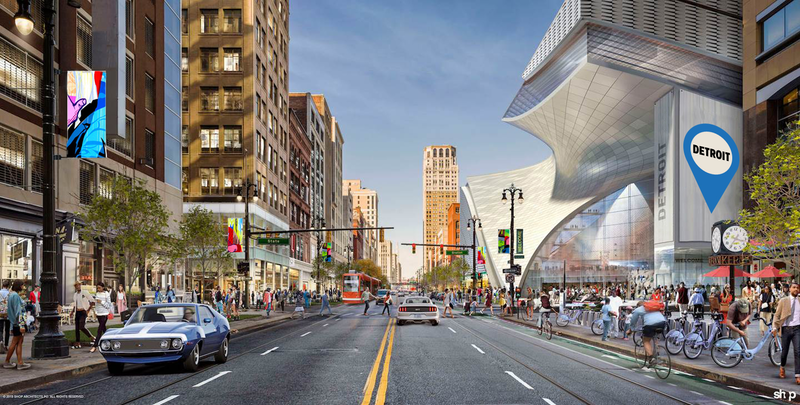 Since it did appear, we are releasing this more refined conceptual rendering looking north on Woodward Avenue near Gratiot. While we are excited about the direction of this concept, it is important to note that the design of the beloved Hudson’s site on Woodward Avenue in the heart of downtown Detroit is still evolving. All of us in our entire family of companies as well as our two architectural firms, NYC-based SHoP Architects and Detroit-based Hamilton Anderson Associates are committed to getting this once-in-a-lifetime opportunity right for the landscape and citizens of Detroit. It is critical that we remain extremely thoughtful in every aspect of this project — from the programming we include to the financing — and most importantly; the design and architecture of a building that will be standing as a one-of-a-kind, destination for current and future generations of Detroiters and visitors alike. We hope to announce the final design and details about the Hudson’s site project this calendar year. In the meantime, we have much work to do with public and private stakeholders. We are more than excited and feel fortunate that we have the opportunity to redevelop one of the key landmark locations in downtown Detroit. As we have stated in the past, our vision is to develop an iconic building that will have some ties to Detroit’s past, but more importantly, represent Detroit’s rebirth into a creative and high-tech future. We are determined to develop this property for the benefit and enjoyment of all Detroiters and visitors from everywhere. Everyone involved in this project is very passionate about it and we cannot wait to get to work. This entry was posted in Detroit Architecture, Downtown Detroit and tagged Bedrock Real Estate Services, Dan Gilbert. Even after bankruptcy, bailouts, massive population and job loss, nightly arson and widespread decay, Detroit still has plenty going for it. It’s a beautiful old city built on America’s original tech industry — cars. In this weeklong Re/code special series, Liz Gannes examines the fast-moving efforts of a hometown billionaire and others to revive Detroit, starting from its center. Sparking this rebirth: Tech startups that draw from the region’s engineering heritage and promise to help restore Detroit’s long-lost claim as a capital of innovation. 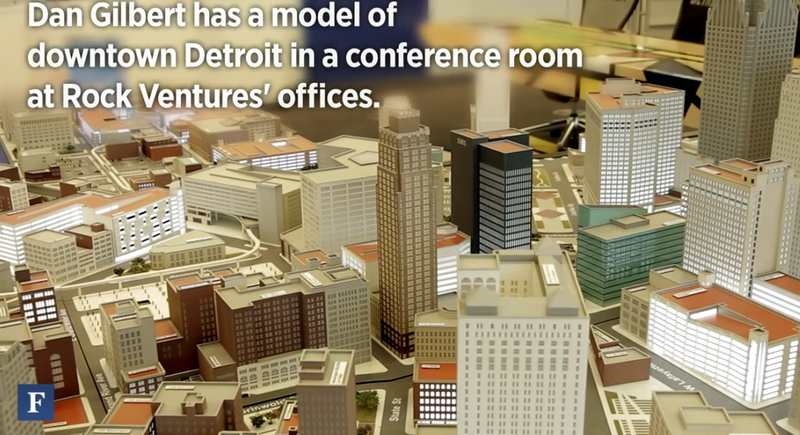 What better place than Detroit to stage the next wave of innovation? It lives at the intersection of arts and invention. It is the birthplace of the personal car, the assembly line, the escalator, the paved road, the urban freeway and the radio news broadcast. It was the epicenter of music innovation: Detroit blues, gospel, jazz, rock, R&B, house music and hip-hop. We’re talking Motown and Madonna. The article examines the impact of Dan Gilbert and the investments of tech companies like Detroit Labs, LevelEleven, Locqus, & UST Global. This entry was posted in Detroit, Revitalization, Technology and tagged Dan Gilbert, Detroit Labs, LevelEleven, Locqus, UST Global. The coolest space in all of Detroit, says local revitalization magnate Dan Gilbert, is the basement of the Chrysler House. Enter the glistening marble-floored lobby of the Griswold Street skyscraper — long known as the Dime Building, after the bank that built it — and take the one elevator that goes down. You’ll find yourself amid a potpourri of fabric samples, a plush neon-green booth that looks like a sea anemone, a water fountain that appears to be dripping with chocolate, a sculpture of the Detroit skyline made of old computer parts, and a $9,000 black metal full-size-horse lamp that hometown returnee Madonna thought was so neat, she called off the prohibition on social media she’d asked for during her downtown Detroit tour, and posted a picture of herself hugging it on Instagram. It’s an office for an interior design firm called dPop, the one that puts the pizazz in the 70-some downtown Detroit buildings owned and controlled by Gilbert. Read the full article for profiles of Quicken Loans, LevelEleven, Detroit Labs, Detroit Venture Partners, The M@dison Building, and other enterprises in GilbertVille. This entry was posted in Detroit, Revitalization, Technology and tagged Dan Gilbert, Quicken Loans.